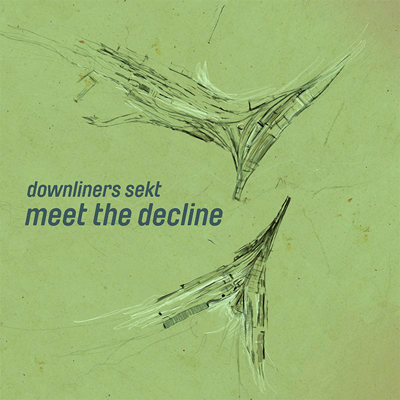 ‘Meet the Decline’ is the third and final installment in Downliners Sekt’s album trilogy, released with Disboot label in co-production with the band’s own label dsekt[dot]com. Arising from a sub-bass drenched dream, Downliners Sekt continue to surprise, confound and delight in their exploration of electric soul music, with this latest 12”. Where previously their intense, abstract and very personal approach to bass music turned heads, this album bares broken hearts. Mutated guitars wind their way around hypnotic digital syncopations and ghostly choral textures, uplifting and menacing in equal parts. The album took to life exactly 12 months ago with the release of the surprising ‘Hello lonely, hold the nation’ EP which was followed 5 months later by a clear statement: ‘We make hits, not the public’. Their new sound has seen rapturous critical reception, their audience growing in leaps and bounds with the ongoing trilogy campaign, which, since the beginning, has received wide spread support. From radio bass evangelists like Mary Anne Hobbs and Rob Booth (both of them have commissioned exclusive mixes for their respective shows); to prestigious record stores like Sounds of the Universe and Boomkat (receiving category of single of the week on both places); having being positively reviewed by The Wire, Resident Advisor, Fact, Mixmag, Playground and many other magazines and webzines. The record has also received massive support from different artists around the world, among them The Bug (King Midas Sound), Joshua Eustis (Telefon Tel Aviv), Mount Kimbie, King Cannibal, François K and Hollywood movie director Darren Aronofsky.